Last Wednesday, I did a post about my favorite meat substitutes. 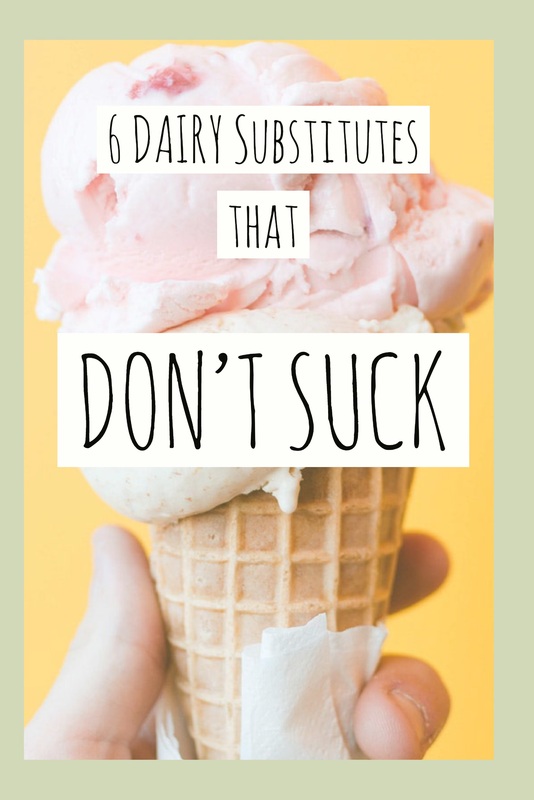 So I figured this week, I should match it with my 6 favorite DAIRY substitutes! Fun fact: I didn’t know until I did a little research that non-dairy and dairy-free are not the same thing. I actually learned this when I went to work and tried to make coffee only to read that the non-dairy creamers STILL had traces of milk on the ingredient list. Needless to say, I reluctantly drank my coffee black that day. Well, black with a couple sweetener packets…but still. Apparently, non-dairy just means there’s no actual milk in the product. There can still be milk proteins like casein or whey in it. Which means it’s not cool for vegans to eat. But dairy-free means that there should be no traces of milk in the overall ingredients. If you’re picky or you have allergies, you’ll want to double check the allergens warning just underneath. And you’ll still want to read the ingredients to make sure. But if you’re just trying to stay away from things that contain milk, anything labeled “dairy-free” is good to go. So let’s get started with this vegan-friendly dairy substitute list. I never had too much trouble giving up meat…ALWAYS ran into some problems trying to give up cheese. God, everything I LIKED had cheese in it. I’m a huge fan of Italian food, which is all about bold flavors, herbs…and CHEESE. Ugh, how was I gonna give up my comforting pile of cheesy pasta, or the lazy date-night fantasy of pizza and beer? But thank GOD…I found out about Daiya. I had had other cheese subs up to this point; they all had what I can only describe as a wood-chippy texture and flavor. All that ooey-gooey stuff I fell in love with was missing. But Daiya? Daiya brought back the hope. HomeSlyce Pizza Bar is definitely the best place to get a pizza with Daiya cheese on it. And Great Sage finds some awesome ways to integrate it into their own recipes (my favorite being their creamy spinach & artichoke dip!). 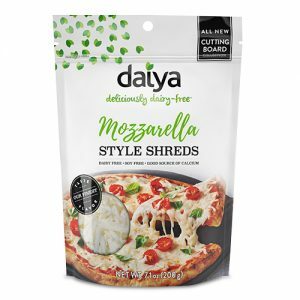 My only criticism is that I haven’t been able to find a Daiya Parmesan “Cheese”! Any of you know of a good vegan parmesan? Leave me a comment below, please! 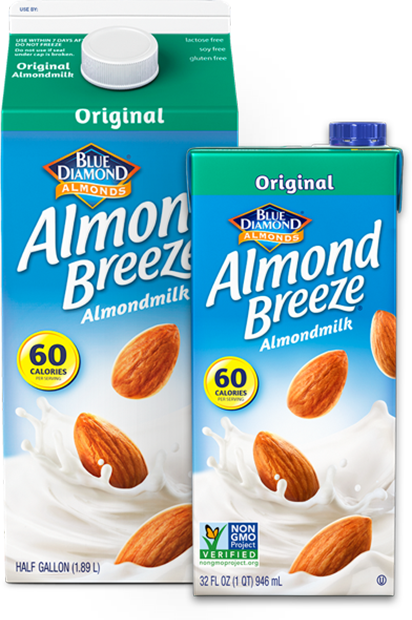 Anyway, Almond Breeze has seriously simplified my life. Ever since coming back from Britain, I have been obsessed with putting “milk” in my tea. Never used to, but it’s just so good. So I use this. Both the original and the coconut-almond blend work. The taste is just light enough not to interfere with any existing flavors, but unique enough to add its own flare. Also great on cereal ;). Ok, so my fiance says this stuff is “filth”, but what does he know?I say it’s fantastic. It especially hits the spot for cooking. You know, those instances where you need that rich, buttery taste such as only butter can do? Until now. 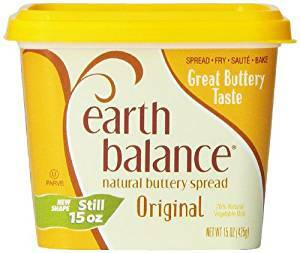 Because Earth Balance Buttery spread has all the things you love about butter and none of the things you don’t. The name speaks for itself…so delicious. 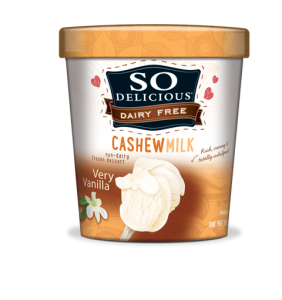 I always go for the cashew milk ice cream because the taste of the cashews seems to go really well as a frozen dessert. And my favorite flavor of all time? The salted-caramel cluster. On the contrary, I think that almond milk does better as a yogurt. 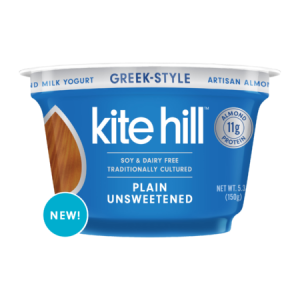 The flavor goes really well with that tart charm that most of us love about yogurt. 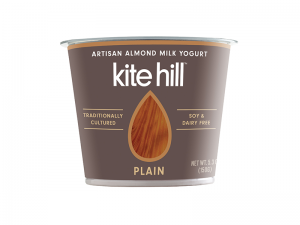 Which is why I was so taken with Kite Hill’s dairy-free yogurt. It’s sweet, it’s tart, it’s perfect. Plus, the packaging is really gorgeous. I don’t know why, but it just seems like something we snooty vegans would eat, doesn’t it? Lovely. By the way, my favorite flavors are strawberry and key-lime. Go get you some! Since the non-dairy creamers at work still had dairy in them *eye roll*, I decided one day that I’d stop by Whole Foods first and get myself a small carton of almond milk to keep in the mini-fridge. 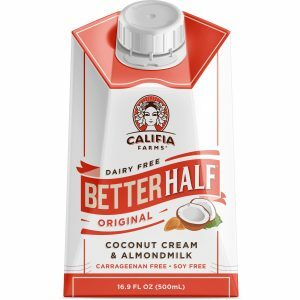 I was pleasantly surprised when I found little cartons of actually vegan creamer. Don’t know why, but I had just never considered that it would be a thing. But I am SO glad that it is, because I really did miss the added sweetness that coffee creamer gives to a nice hot cup o’ Joe…or tea. I’ll never have to drink my coffee black again! What Are Your Favorite Dairy-Free Subs? These are just the ones that I’ve tried that I stand by. But I can’t know everything, and I love trying new things! Leave me a comment below of some of your favorite dairy-free snacks or foods!